Learn how to use THEIR experience to jumpstart YOUR freelance writing career. Here are 10 specifics to look for, and how to capitalize on them. 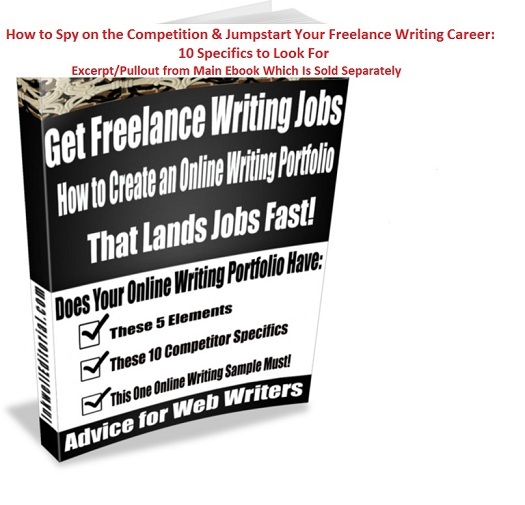 This is the portion that details how to spy on the competition; detailing 10 specific things to look for when researching other freelance writers that will help you compete with the more experienced ones right away! FYI, this is discussed in STEP II in the full version of the ebook.